A violent tornado struck Joplin, Missouri, on Sunday afternoon, causing "some fatalities" and significant damage to buildings, officials told CNN. Also, the National Weather Service said it was tracking a "large and extremely dangerous tornado" near Noel, Missouri. The twister that hit Joplin, about 150 miles south of Kansas City, Missouri, caused "some fatalities," though the exact number was not known, said Lynn Ostot, spokeswoman for the city of Joplin. Authorities there were contending with multiple reports of people trapped, as well as significant structural damage to St. John's Regional Medical Center, which was hit directly by the apparent tornado, city officials said. CNN affiliate KSHB said there were reports of fires throughout the hospital. with the entire Metropolis of Joplin and the Surrounding areas. My God console the ones who lost loved ones,. Obama shut down the weather forecasting satellites that could have warned people of this disaster, and saved lives. Is Obama a liar or insane? Think, think, think for yourselves people! 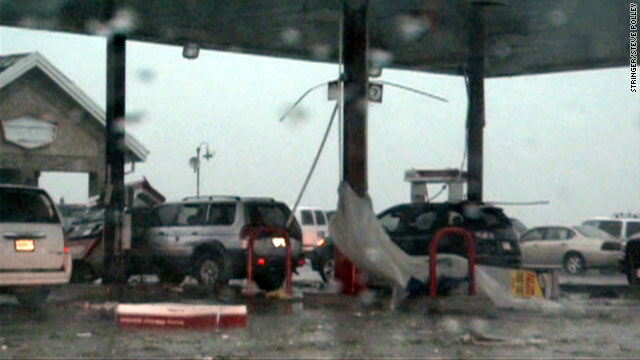 I pray for you all that have been affected by the storm in Joplin. Does knowing something before it happens, change the outcome? Does worring about anything make it any better?